CarGurus has 5,719 nationwide Sequoia listings starting at $1,200. 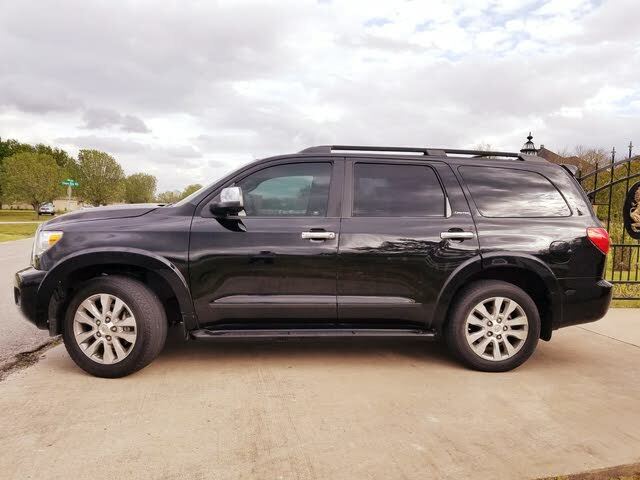 While other manufacturers are eliminating full-size SUVs and sales continue to slow as gasoline prices continue to rise, Toyota has kept in the game with a redesign of its Sequoia for 2012, making it larger and roomier. Built upon the underpinnings of the Tundra, this car is designed to appeal to high-rolling, hard-working families on the go. The Sequoia comes in three trim levels: base SR5, Limited and Platinum. SR5s come with a 4.6-liter V8 with 310 hp and 327 lb-ft of torque; a 5.7-liter V8 with 380 hp and 401 lb-ft of torque is standard in the others and available in SR5s. Rear-wheel or 4WD is available for all trims, and all come with a 6-speed automatic transmission. FlexFuel capability is available only for 5.7 4WD trims. Toyota did a nice job on each of these trims, as a lot of key features are standard, including MP3 playback, keyless entry, streaming Bluetooth and fog lamps. Eight-speaker stereo is standard in the SR5s, the others have 14. The Limiteds feature 20-inch aluminum wheels, leather-trimmed seating and a power liftgate, and the Platinums add heated/vented seats, a rear-seat DVD entertainment system, backup camera and blind-spot monitor. Unfortunately, the tacky chrome grille and mirrors and a cheap-feeling interior are also standard. Packages available for the SR5s include the Sports, which includes 20-inch chrome wheels, second-row captain’s chairs and a color-keyed grille, and the Premium, which includes leather-trimmed seats, a heated driver’s seat and adjustable front seats, as well as a backup camera and HomeLink universal transceiver. Also new for 2012, Toyota includes a standard trailer sway control system and blind-spot monitor. Other standard safety features include front and side-curtain airbags for the entire cabin and 4-wheel antilock braking. The Sequoia has performed well in NHTSA standard tests. All trims can hold 8 adults, with nobody feeling cramped. Three-zone climate control also makes sure that no one is too hot or too cold. And all the pickup and power you need is there: A tow hitch is standard and can handle up to 7,400 pounds depending on the engine configuration. So if you want an SUV, you’ll get it in spades with the Sequoia—one of the best (and one of the last) of its class. What's your take on the 2012 Toyota Sequoia? 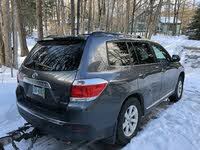 Have you driven a 2012 Toyota Sequoia? Im looking at a 2012 Toyota sequioa in texas, but I live in CA. Do these SUVs have different emissions standards in different states?